Printed on a premium quality silk card one sided only, the back is blank. Professionally produced on the latest digital industrial printing machinery. 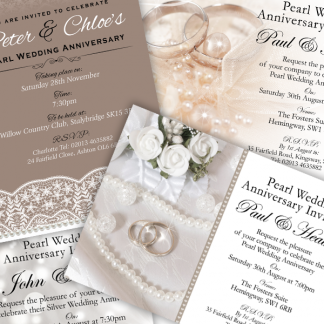 FREE quality white envelopes supplied with the cards. FREE P&P (inland UK only). 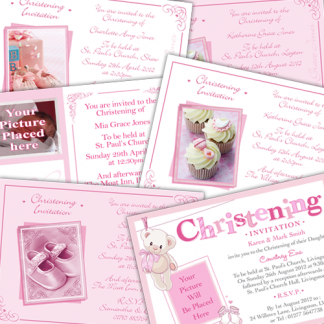 Please fill in the boxes below to tell us what personalisation you require on your invites. Please put ‘na’ in box if not required. You can upload your image here if your chosen design requires one. Please note, if your image is of poor quality and has a small file size, it will not print out very well. If you choose to see a preview it will be sent to you via the email you registered with your order, within 2 working days. If you want to speed your order up, then double check your personalised details given and select you don’t want to see a preview. Should you choose to see a preview, the delivery times are only applicable once we have received your approval (before 1pm Mon-Fri) of the preview. D&L Designs are a family run Business based in Lancashire and have been producing personalised items of the best quality since 2008. Every year we are going from strength to strength. Based in Clitheroe, Lancashire with experience in the greetings cards and social stationery market since 1990. D&L Designs has a wealth of knowledge in knowing what is required to produce the best quality products for our customers. 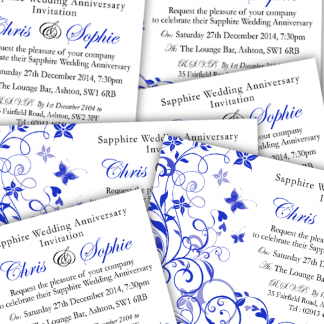 We give a level of service that all larger personalised printing product companies fail to do. It’s about providing a fantastic level of service and a fantastic product for our customers. We do not charge you an upload fee for using your own images and don’t have hidden price increases at the checkout. The price you see is the price you pay. Experienced artists do all the layout work for you, so you don’t have to spend time trying to get it right on-screen. D&L Designs do not do layouts for Business cards or Stationery. 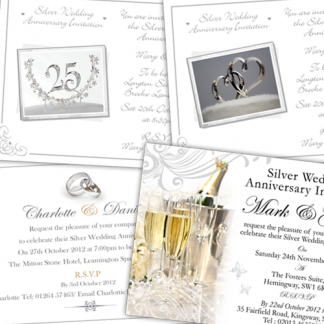 If you require extra personalisation, we have experienced typographers who may be able to make your text fit our layouts. So please get in touch with your enquiry before you make a purchase. 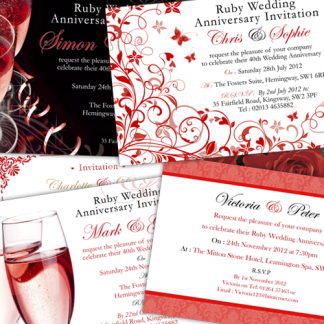 The equipment we have is the latest digital printing and cutting machinery as used by other large personalised greetings card suppliers. Short runs are what we specialise in. D&L Designs Ltd use paper and card made from sustainable trees with the FSC logo.